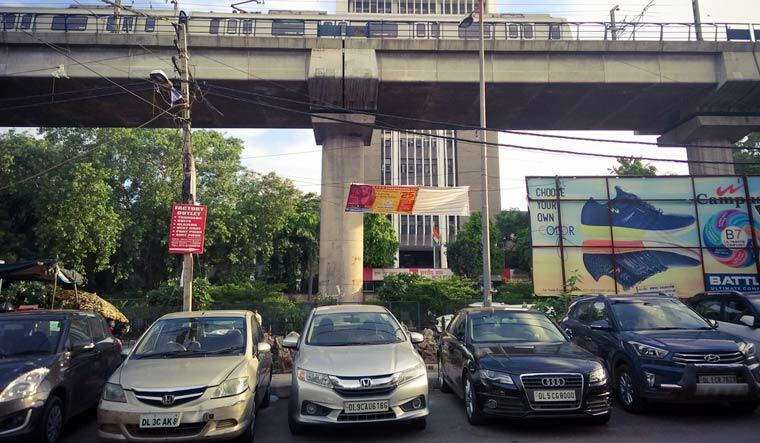 Has urban India forgotten the need for parking spaces? Parking is considered to be one of the most essential components of the development plans of cities in India. But it seems that the road infrastructure today is unable to keep up with the ever-increasing demand for automobiles that keep clogging up most cities during rush hour. A joint study report by TCI and IIM states that a truck on Indian roads is only able to travel a distance of 250 to 400 km per day as compared to 700 to 800 km in developed countries. The total number of cars produced in India was 14.25 million in 2015. This year, the government increased the speed limits on highways. But now many cities are looking into 'smart’ parking facilities. And is that enough? With a surge in production in demand and supply it is important to remember that all vehicles in the country need space to park somewhere. The archaic Indian Road Congress' standards for parking areas for development of 1988 state that a vehicle on average requires 12.5 meter square of space for parking. The State is the custodian of public spaces and faces the perplexing task of providing amenities to the people, while also having to making sure that space is not underutilized or misused. It is the state’s duty to effectively maximize the utility of public space for public good and has to balance out between corporate interests and public welfare. Today in India the state is in a fix about what exactly amounts to public good. The law remains unclear on whether providing public parking space is a utility service to be offered by the state. As spaces begin to increasingly shrink in cities, parking has become a major concern. It is important to note that most parking areas available are not public. Huge volume of land space is inevitably taken up by a car owner who parks the car in his residence and in office which is in addition to the spaces taken up while going for shopping and other purposes. And although, applications like Pinpark and Get My Parking aim to make car owners’ and drivers’ lives easier by being able to reserve spots online, it still remains a problem. These land spaces are generally in prime locations where the market value would be huge and therefore the choice remains to go private. Usually, there are laws related to parking regulation and enforcement. However, on a governmental level India has a nation-wide general policy and not have a comprehensive law relating to parking. The National Urban Transport Policy (NUTP) of India, devised by the Ministry of Urban Development in 2006 contains the major laws in this regard. The NUTP aims to direct the State governments to make suitable revisions to building rules in order to provide adequate parking spaces for the public. It mentions that parking fees should reflect the market value of the land developed for parking. If the current parking woes people face is anything to go by, the implementation of these laws has been lacking to say the least. Determination of parking space is a state subject and delegated to urban local bodies through the process of decentralization. The Jawaharlal Nehru National Urban Renewal Mission is the flagship scheme for city development. This body envisions the formulation of parking policies for every city in the country. The concerned city development authorities are given the mandate to govern both on and off-street parking. But it is the municipal law of a state that addresses the manner in which parking lots shall be determined and assigned while being guided by the NUTP. Therefore the fact remains that laws relating to parking are loosely set based on what is determined by the local bodies. The state governments while formulating plans for urban or local development have mostly given less importance to parking. The enforcement of parking rules comes under the traffic police who has the power to fine under Section 177 of the Motor Vehicles Act, 1988, and to even tow a vehicle if found flouting traffic rules. But, while the laws are strict, the traffic police needs to be firmer in regulating parking. Unfortunately though, due to lack of resources and right intervention in regulating and monitoring parking, enforcement is weak in most of the cities in India. The existing laws require inclusion of provisions relating to parking spaces, which would help in better utilization of the available parking spaces and also the monitoring of it, restricting the ownership and the rider-ship of vehicles to curtail traffic and pollution. There are limited parking spaces in buildings and in public spaces, the monitoring of these buildings’ rules violations in parking need to be looked at. And all the succeeding laws and policies must emphasize on the issue of the increase in the number of vehicles on the roads. Hiking parking fees, congestion taxes and a compulsory proof of parking are some of the mechanisms for intervention in these regards. The parking fees in India are one of the lowest in the world with cities like Delhi, Mumbai and Chennai figure among the lowest in the world. Parking rates are often charged excessively to discourage people from using private vehicles and can often act as an incentive to use public transport instead. In cities like Amsterdam residential permits are issued. In Japan producing proof of parking space is essential to buy a vehicle. There are global shifts in the mindset of people and governments, from laying more roads and creating more parking spaces to creating innovative solutions for parking woes. Nevertheless, it is crucial to perceive development in a different light, one that aims at optimum utilization of public spaces for public good rather than look an excess of vehicles as a pathway to progress. Something as basic as the provision for roads and parking spaces speak volumes for the state of affairs in a nation.